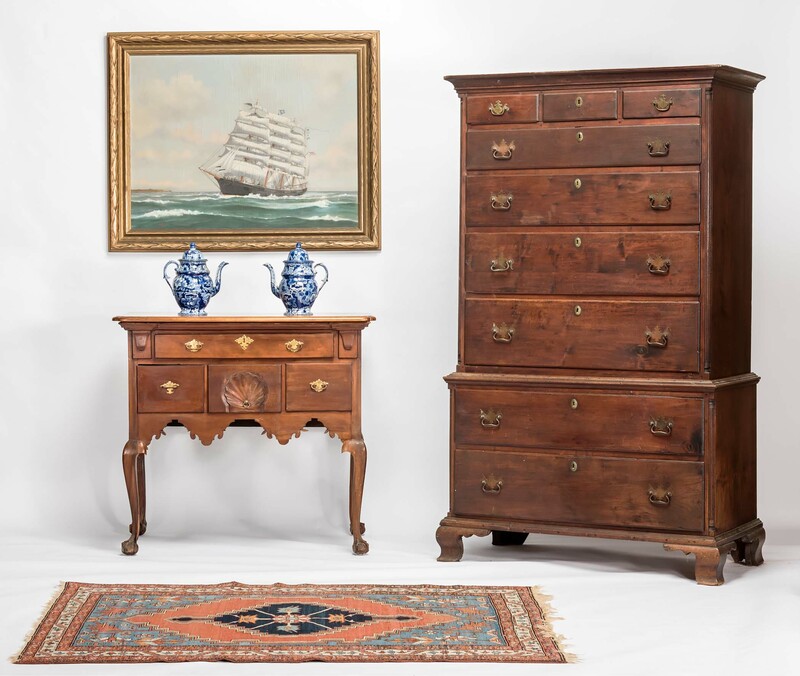 Saturday, November 21, 2015 at 10:00 a.m.
18TH C. FURNITURE: 31 X 24 Queen Anne lowboy on pad feet with fan-carved drawer. 38 X 24 Chippendale dressing table with fancy cutout skirt. 75 in. 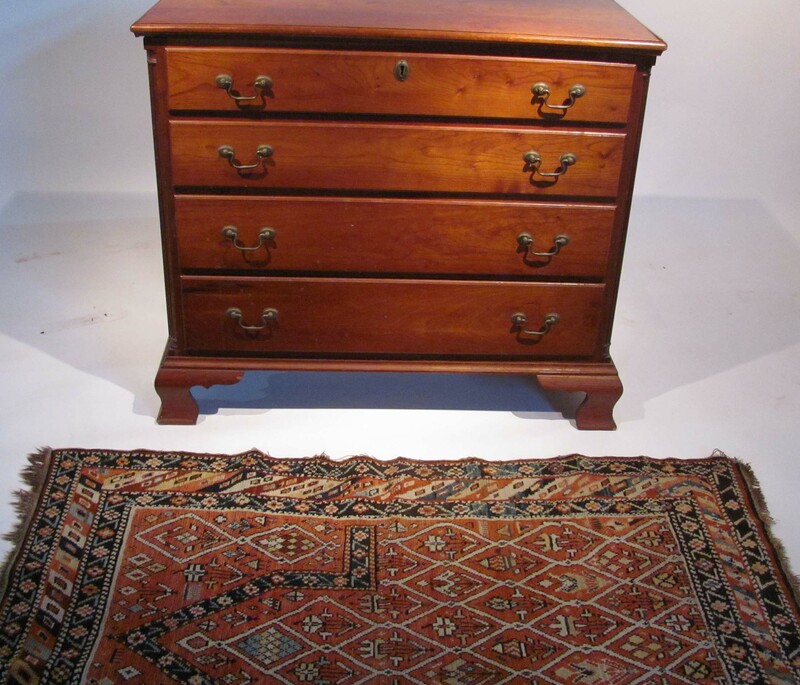 tall Chippendale walnut chest on chest on ogee feet. 68 in. 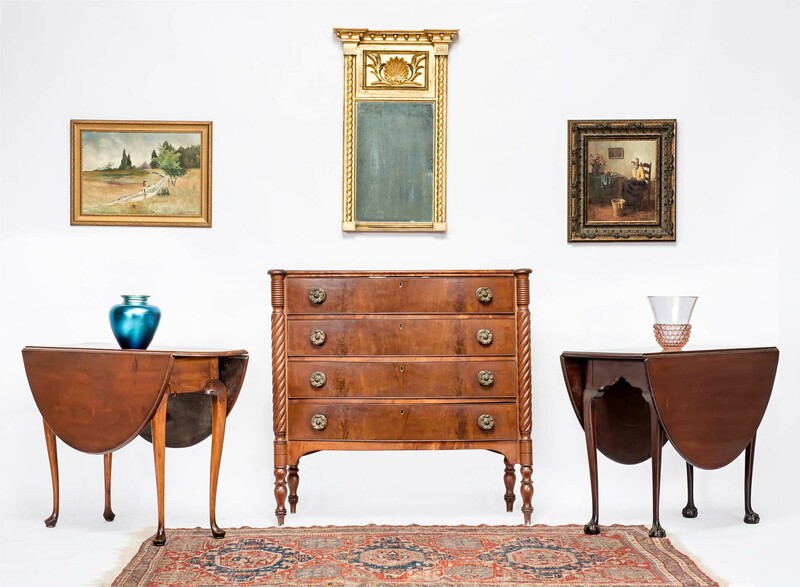 Chippendale walnut tall chest. 40 in. Sheraton bow front mahogany four drawer chest. 39 in. Chippendale mahogany drop leaf table on ball and claw feet with fancy skirt. 43 in. Queen Anne drop leaf table on pad feet. Two over four drawer 46 X 36 X 19 pine tall chest on bracket base. 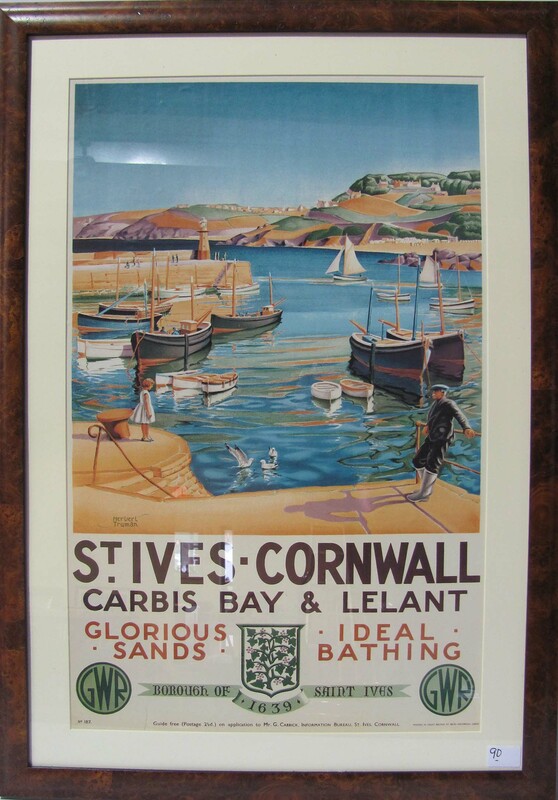 Rare 14 ½ X 8 in. 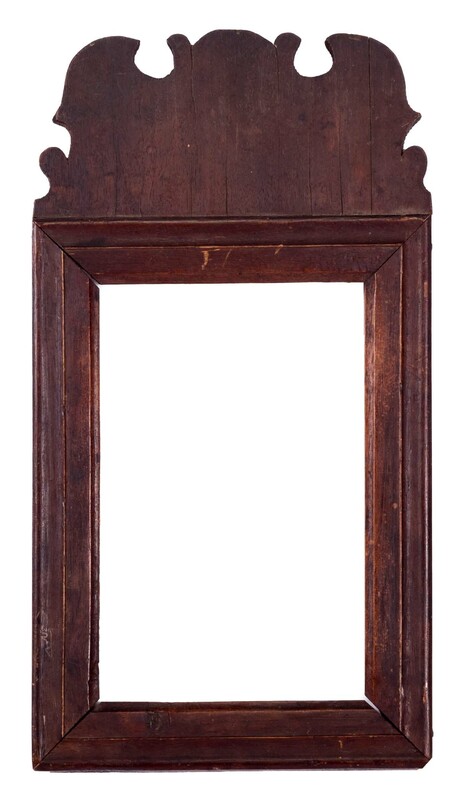 Queen Anne mirror frame with shapely crest, the piece having descended in an Exeter, NH area family. 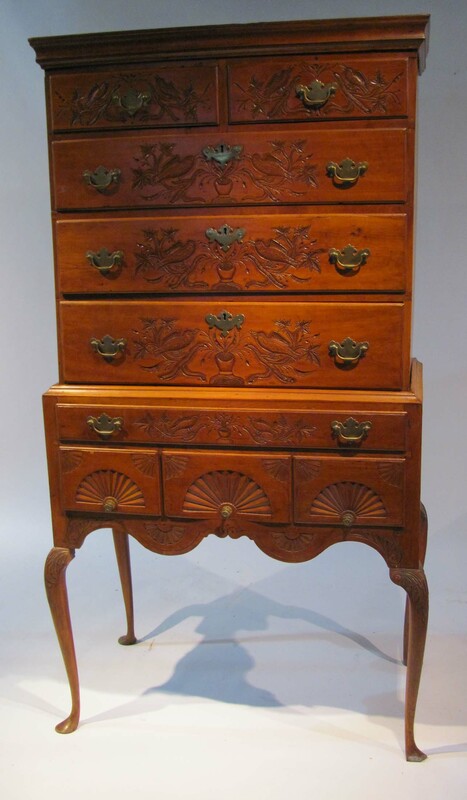 Queen Anne maple highboy with restoration and alteration (detail 1, 2). 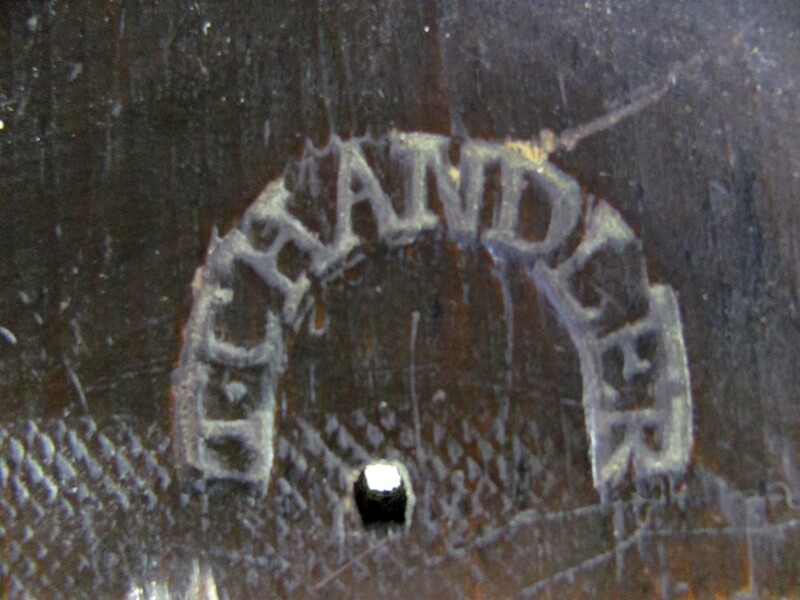 Branded T. (Timothy) Chandler (NH) maple tall case clock on bracket base. 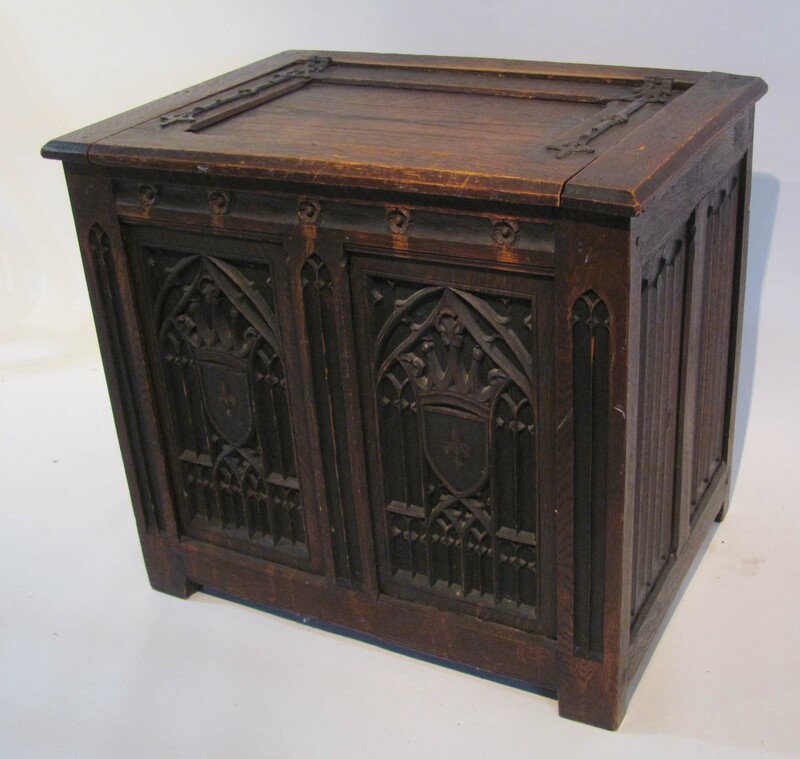 29 X 20 X 26 carved oak Continental storage chest. 36 in. graduated four drawer cherry chest on ogee feet. Bulbous-turned bow back Windsor side chair and rare comb back Windsor side chair on bamboo-turned base. Mass. Chippendale side chair. Good early rockers. 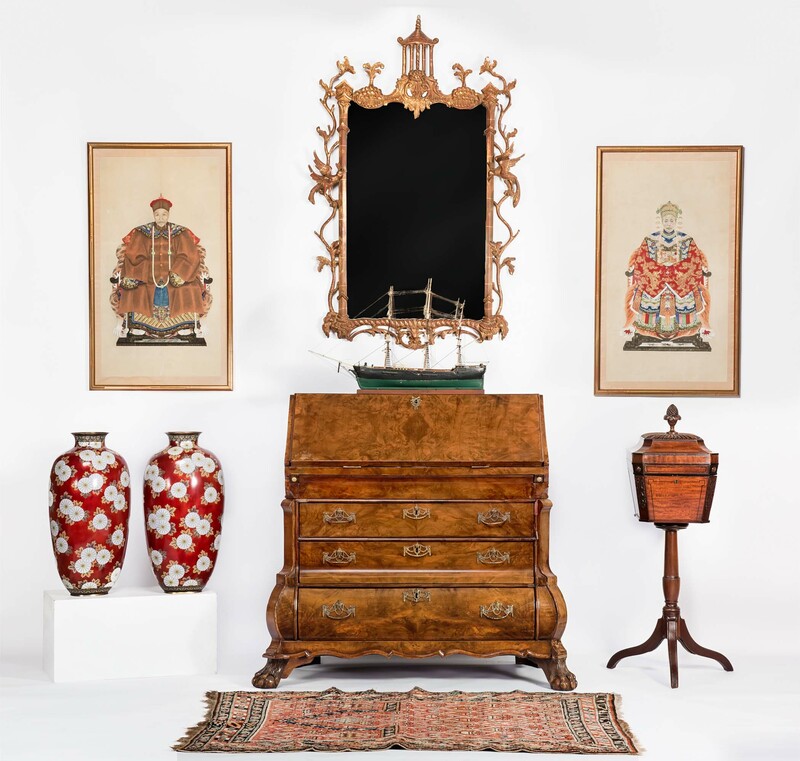 Early 19th c. labeled E. Lothrop, Boston, gilded mirror with shell-carved panel. 49 X 23 X 37 Continental standing walnut dough box on carved frame, resting on carved legs. 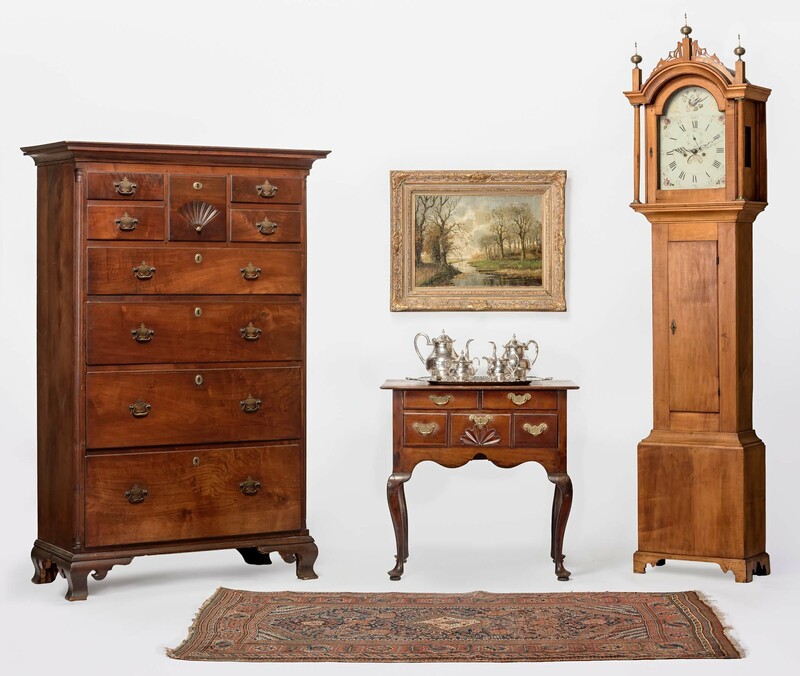 19TH AND EARLY 20TH C. FURNITURE: Early 19th c. Dutch mahogany and fruitwood 38 in. 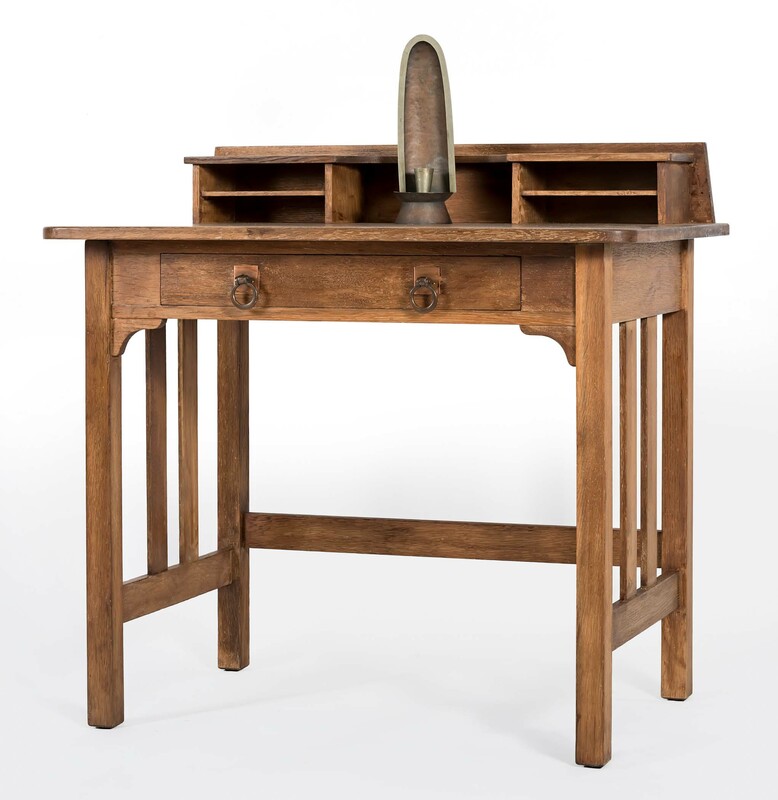 slant lid writing desk with bombe base and stepped interior, resting on carved talon feet. Early 19th c. mahogany drop leaf table with heavily carved legs. Slant lid mahogany writing box with fitted interior. James Gardner 8 drwr. tabletop specimen case. C. 1900 42 in. heavily inlaid mahogany writing desk. 41 in. English or Continental mahogany teapoy with carved acorn finial. Unusual 9 ft. old gray meetinghouse bench with shapely cutout board legs. Rustic hickory armchair with rare drop arms. Other rustic, stick and ball design, wicker and bamboo furniture. Old gray folding drying rack. 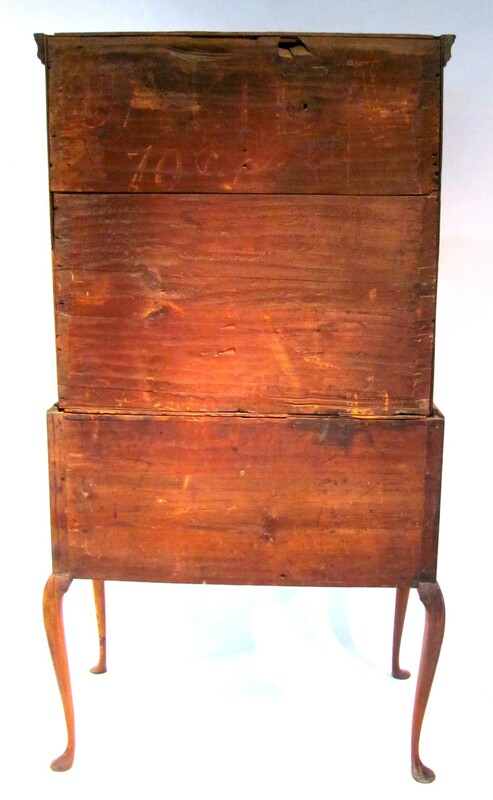 Two drawer 19th c. pine stand with rare tapering octagonal legs. 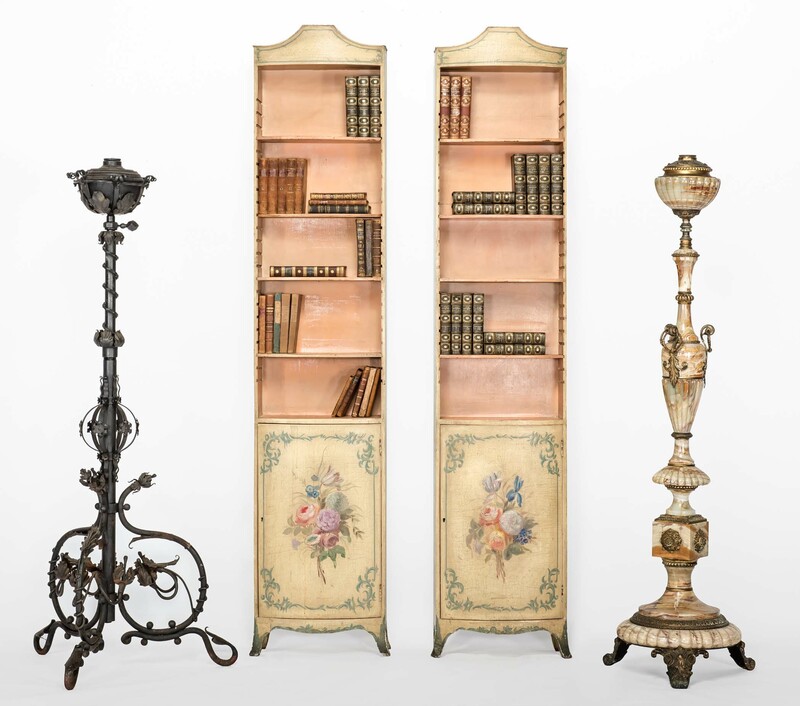 Pair of stylish 80 X 17 paint-decorated bookcases. 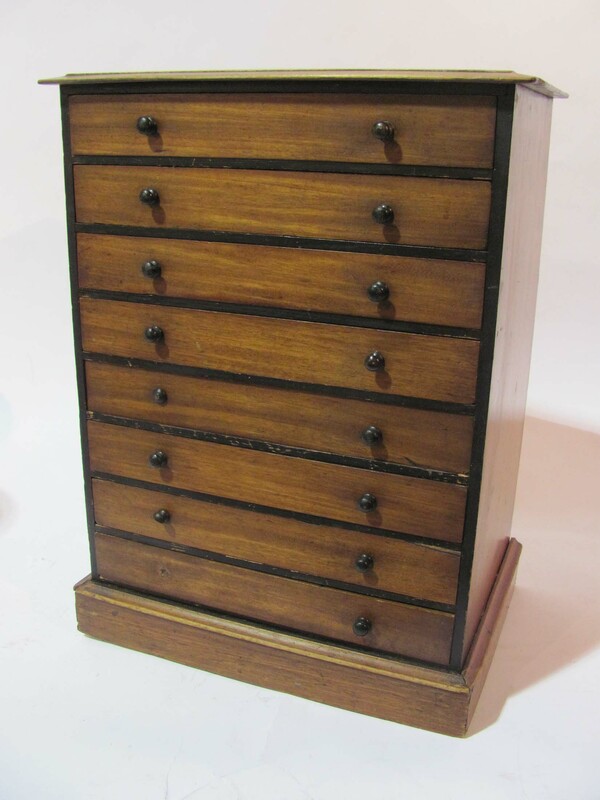 36 X 24 X 34 ½ Quaint Furniture writing desk with recessed compartment top. Shapely 32 X 20 mahogany window seat with shell carving. 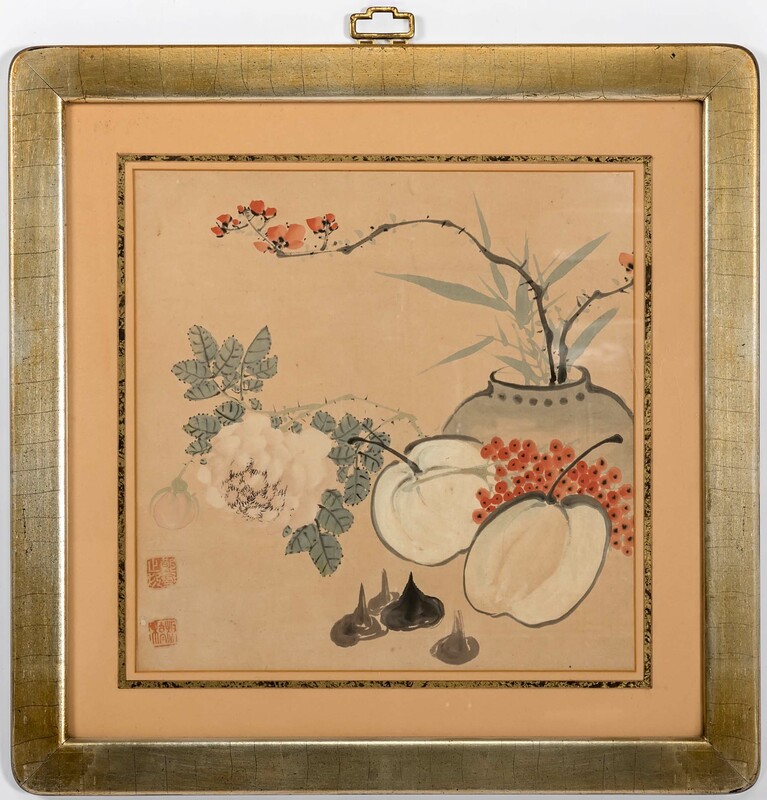 34 X 22 gilded chinoiserie gesso mirror. Lemon gold and other good mirrors. Interesting occasional furniture. CLOCKS: Branded T. (Timothy) Chandler (NH) maple tall case clock on bracket base. 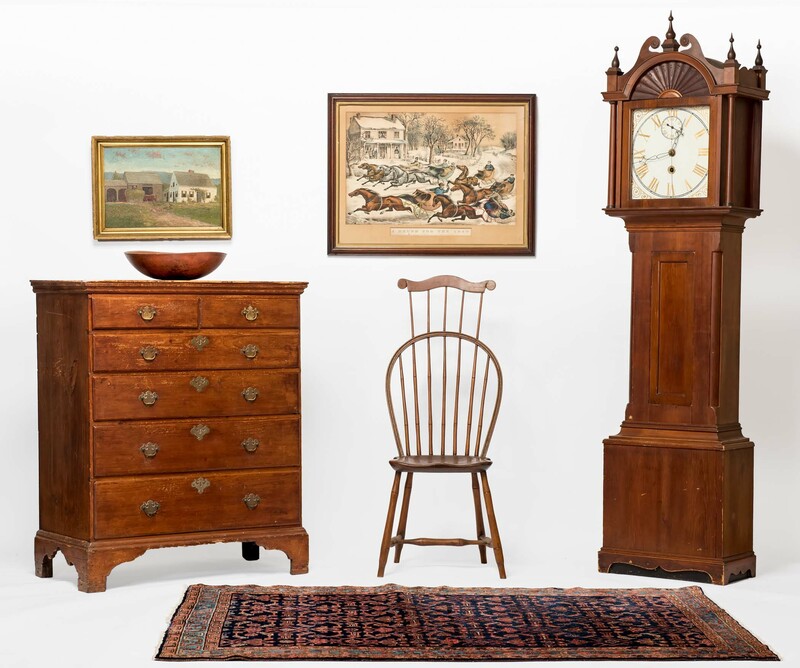 Rare mahogany and pine tall case clock built by York, ME inventor and clockmaker, Charles Young (1855-1934). 24 in. 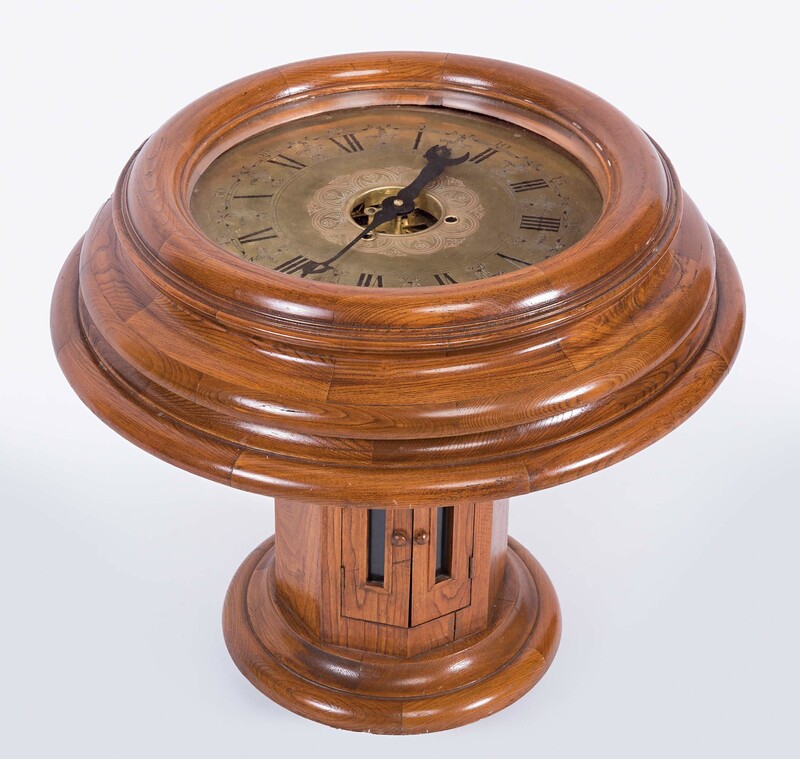 oak case clock table with 14 in. 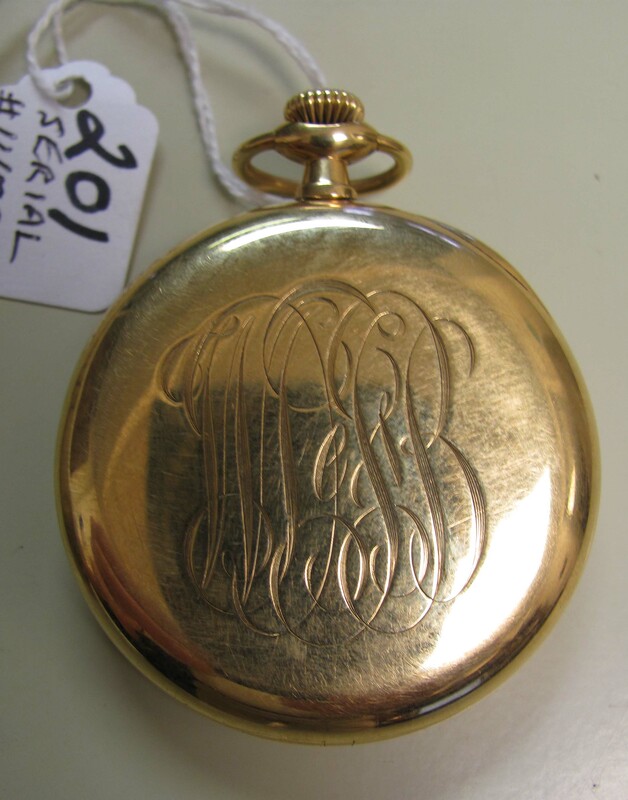 brass dial. 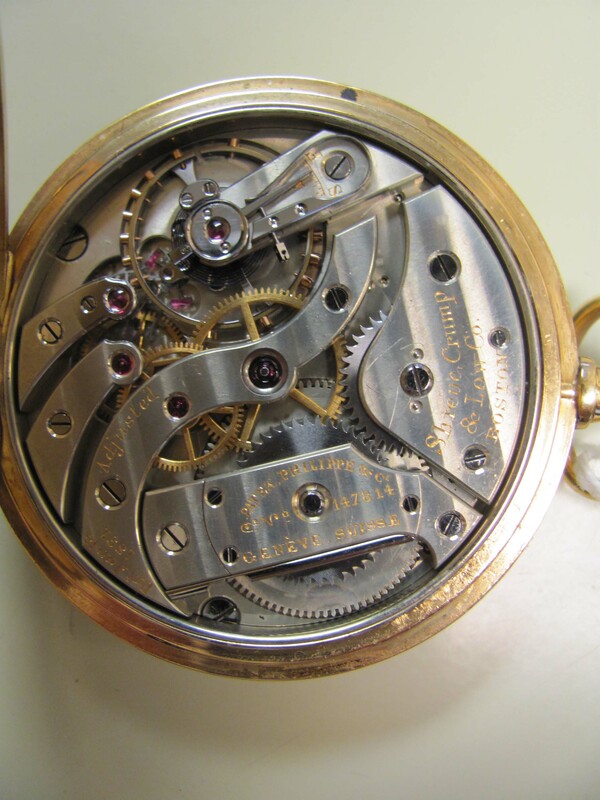 Seth Thomas two dial calendar clock. Interesting metallic case shelf clocks. ESTATE CHINA, GLASSWARE AND POTTERY: Rare signed LCT 8665 18 in. Favrile glass iridescent punch bowl with Tadpoles’ Tendrils design in relief, accompanied by ten matching 3 ½ in. footed goblets, family provenance included. 8 in. 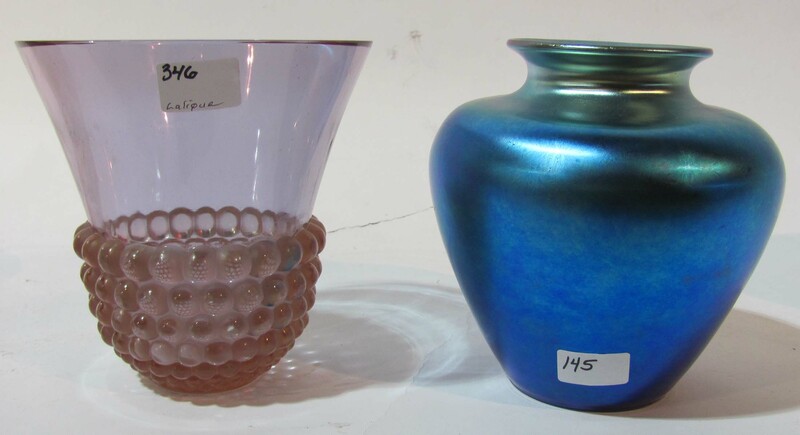 Steuben blue iridescent bulbous vase and a clear Steuben water pitcher. 8 in. flared top clear blue Lalique vase with hobnail-form lower portion. Rare 16 in. 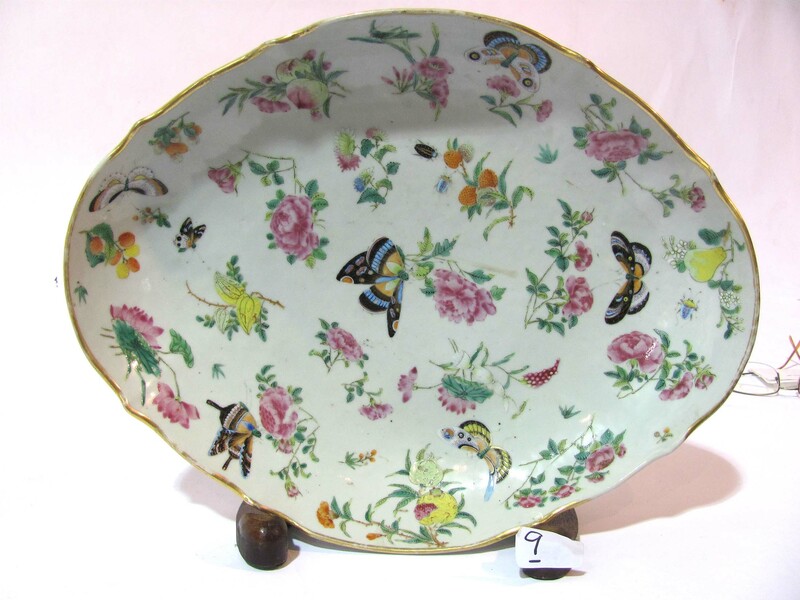 Chinese Export footed shallow dish with butterflies. 13 ½ X 10 ½ in. Rose Medallion oval platter and 14 in diam. Famille Rose shallow dish. Pair deep blue 11 ½ in. Staffordshire coffee pots. 17 in. blue Staffordshire sink bowl with garden urns in a landscape. 17 ½ in. 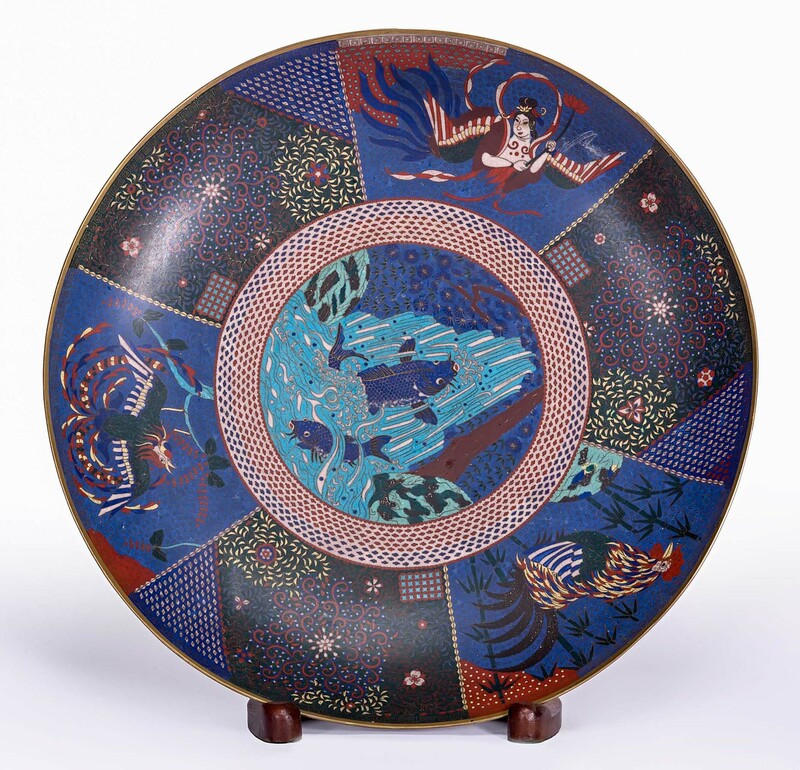 Victoria Ware reticulated platter. Other interesting English china. 71 piece set Shelley Dainty Blue china. 14 ½ in. 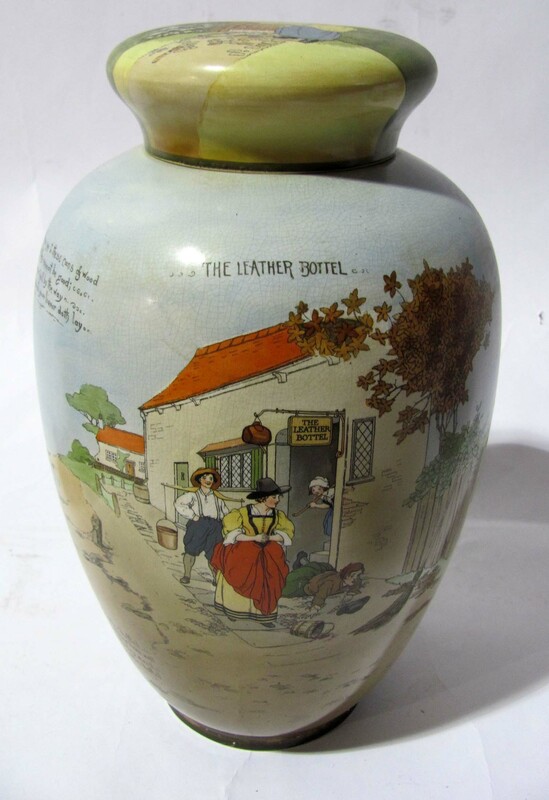 English Burleigh Ware humorous scene covered jar with characters. Colorful multi-piece German, Czech. and Japanese canister sets. Good blue-decorated stoneware. ARTS & CRAFTS PERIOD: Pair of 12 in. 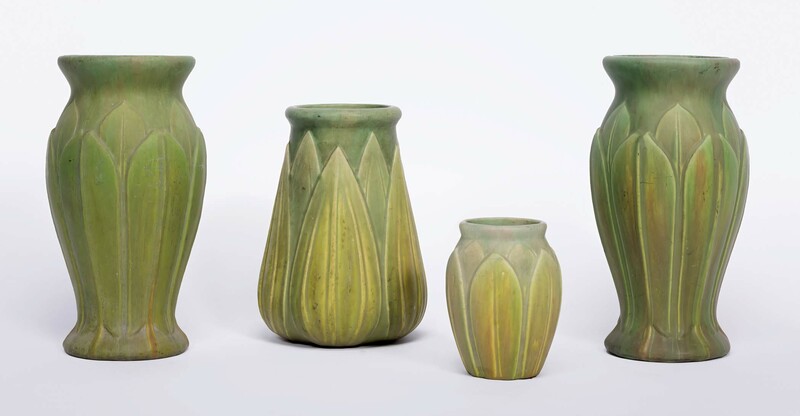 Roseville Velmoss vases and two singles. Other art pottery. 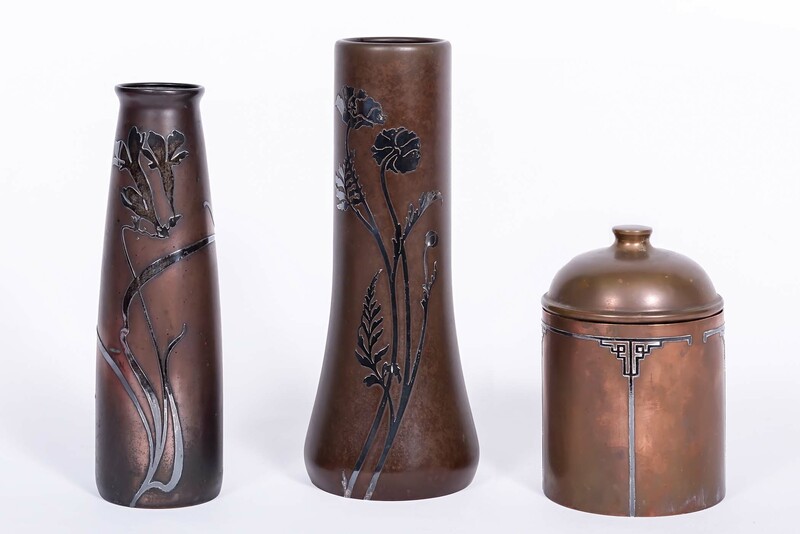 Good Heintz sterling on copper jar and vases. Other hammered copper. ESTATE SILVER: Large and fine selection of sterling and coin silver flatware, hollow-ware, tea/coffee services, personal and desk accessories and more, including that by Tiffany, Gorham, Kirk, Ball, Black & Co. and other better makers. Silver-plated tableware. Golf commemorative and presentation silver. NH 1860’s Gov. Charles Doe’s fish set. 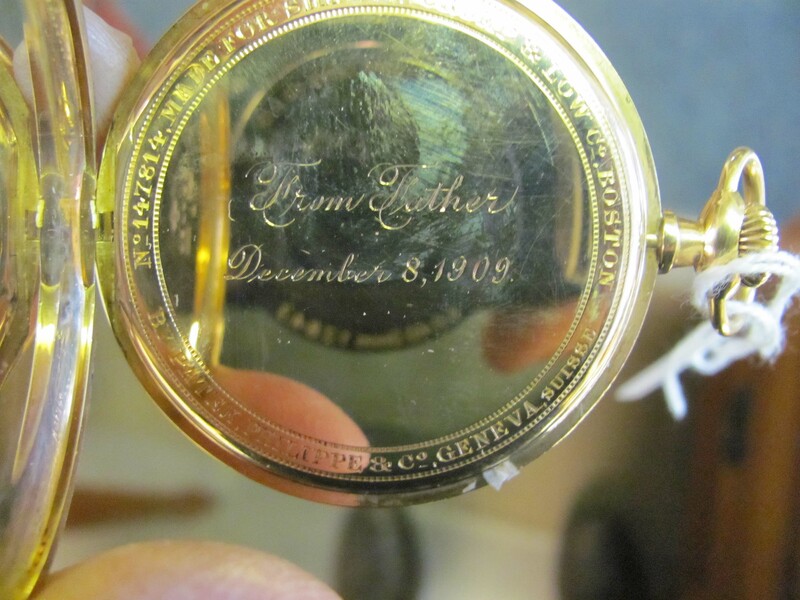 ESTATE JEWELRY: Large and varied selection of estate gold, sterling and gemstone jewelry. 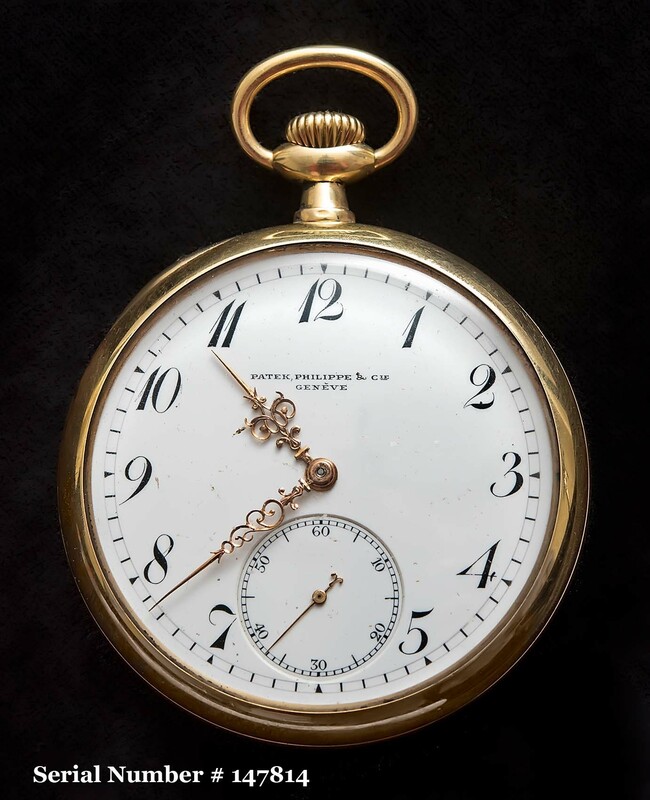 18k Patek Philippe SN#147814 pocket watch (interior 1, 2, 3) Large single owner stick pin collection. Large lots of old family costume jewelry. OLD LIGHTING: 14 in. 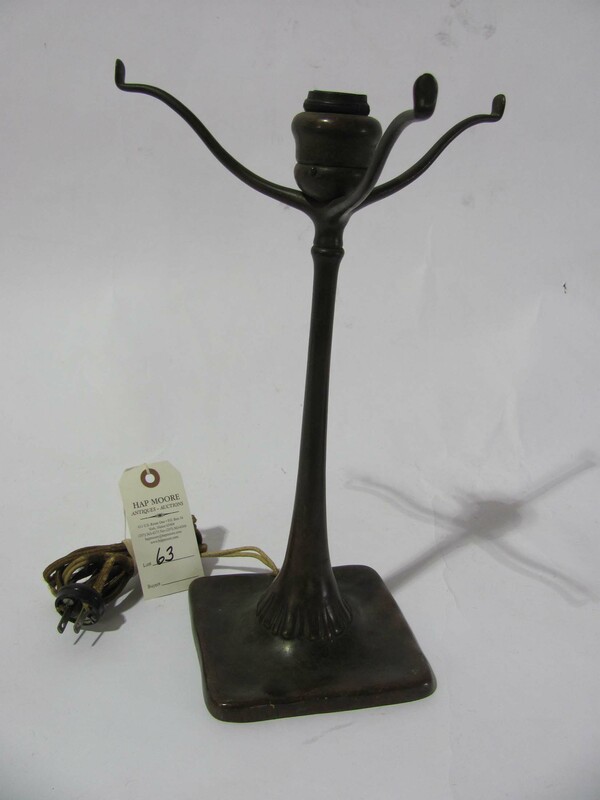 Tiffany Studios, NY, # 436 patinated bronze stick lamp base. The fanciest 63 in. wrought iron floor lamp and an equally beautiful 63 in. alabaster floor lamp from the same York Harbor summer home. Early pewter and brass candlesticks. Good table lighting. 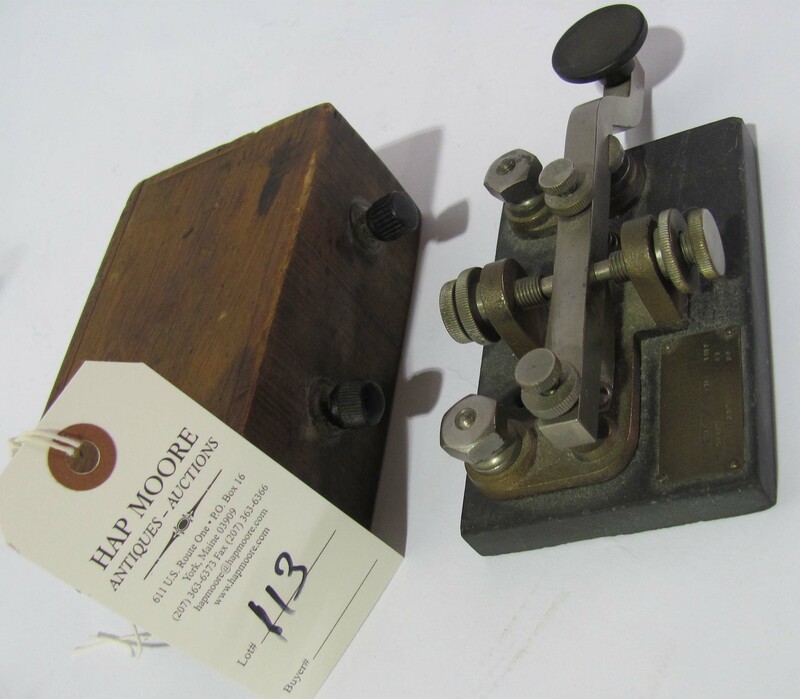 SCIENTIFIC AND OTHER INSTRUMENTS: 1917 Marconi Auxiliary hand sending key. 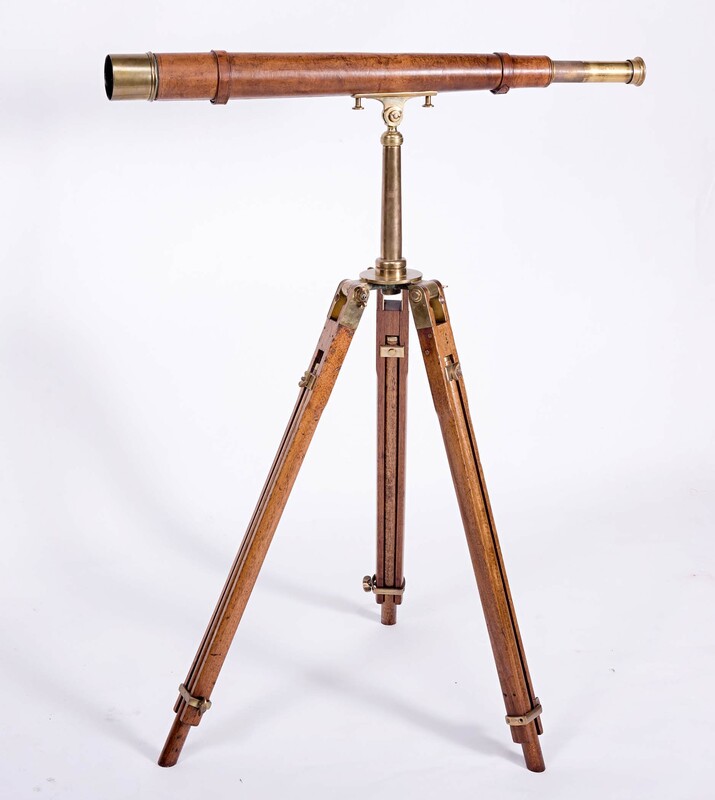 Marked 1902 J. Watson, London telescope on orig. tripod base. 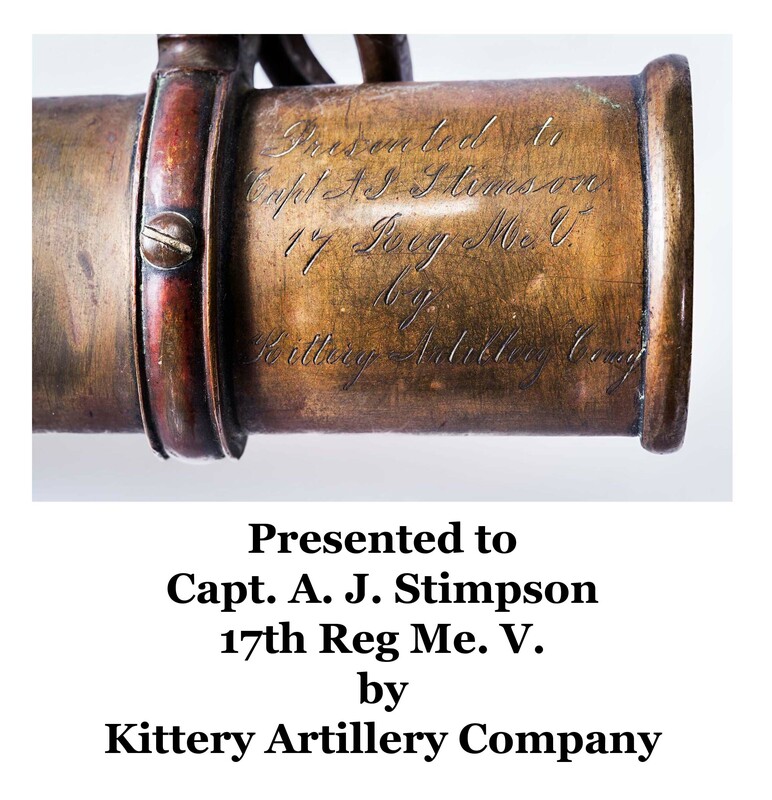 19th c. surveyor’s sighting device. 1879 table microscope. 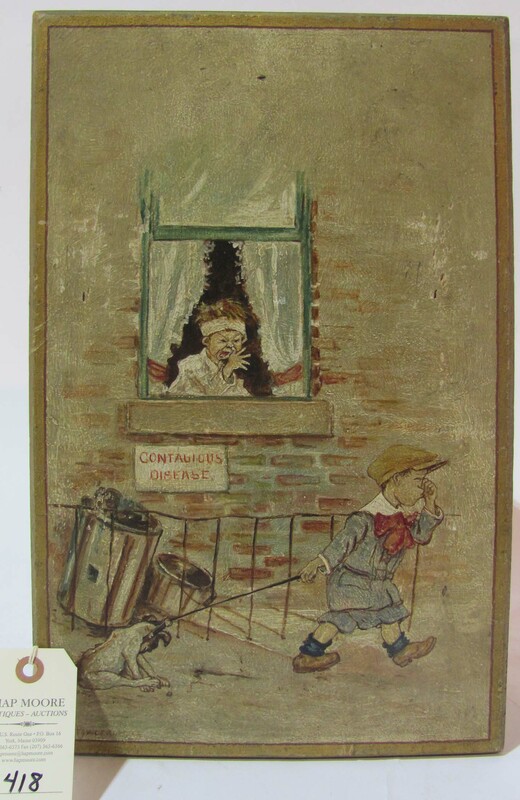 Early 20th c. Betz Auto Cautery cauterizing instrument for military field use. 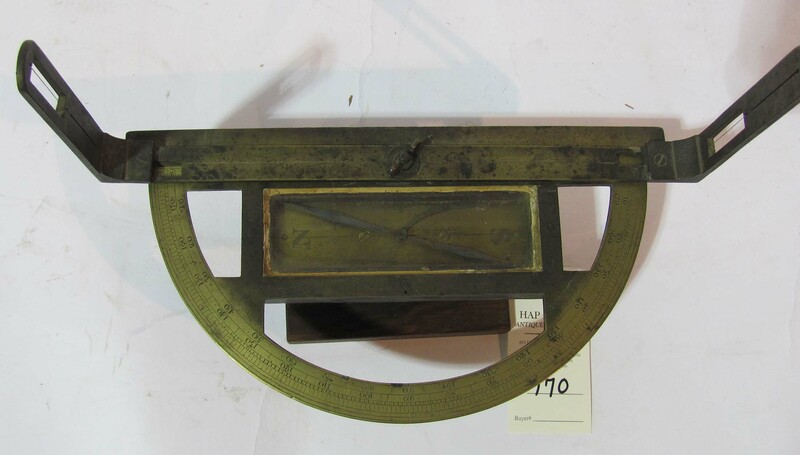 Large collection of Chatillon and other brass and metallic spring balance scales. 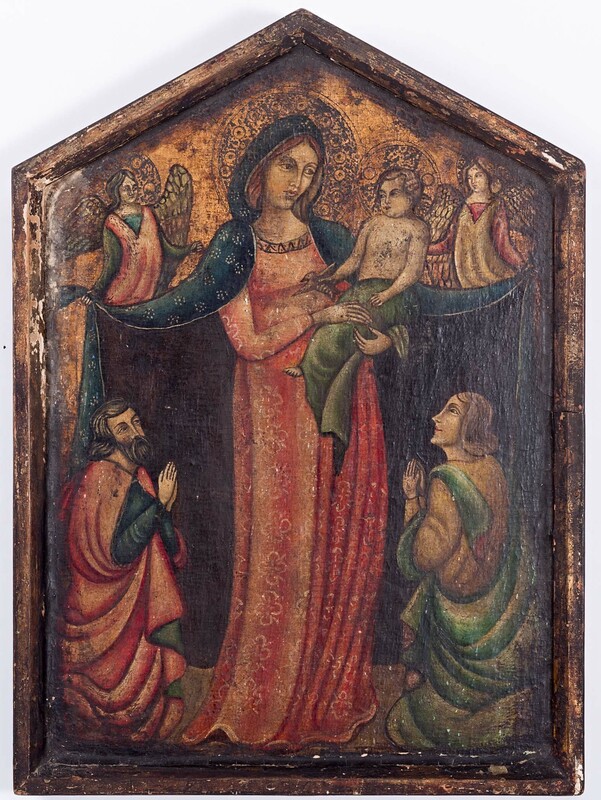 FOLK ART: 19th c. 31 in. copper banner weathervane in verdigris surface. 30 X 23 in. 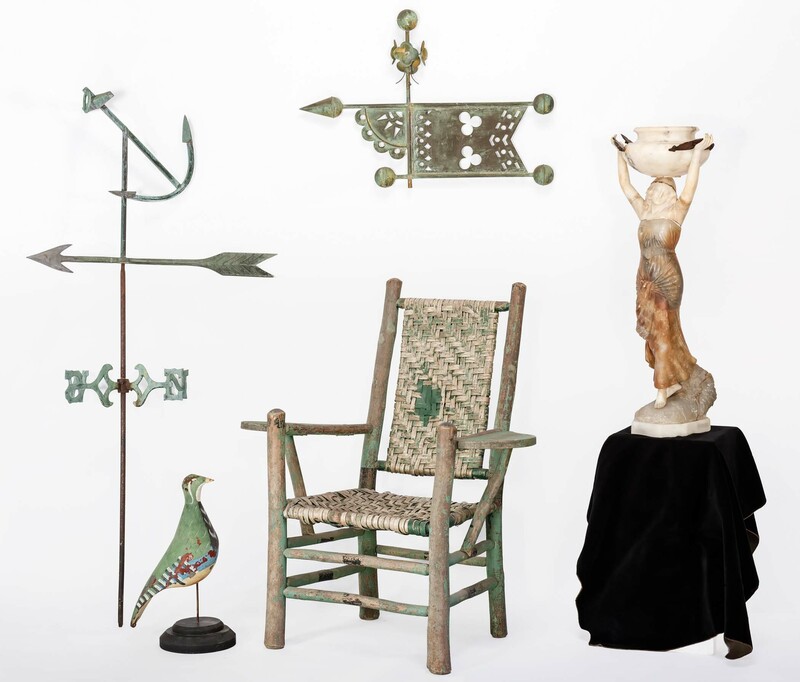 early 20th c. anchor weathervane in verdigris surface, originally from the Capt. Dennett house, York Village, ME. 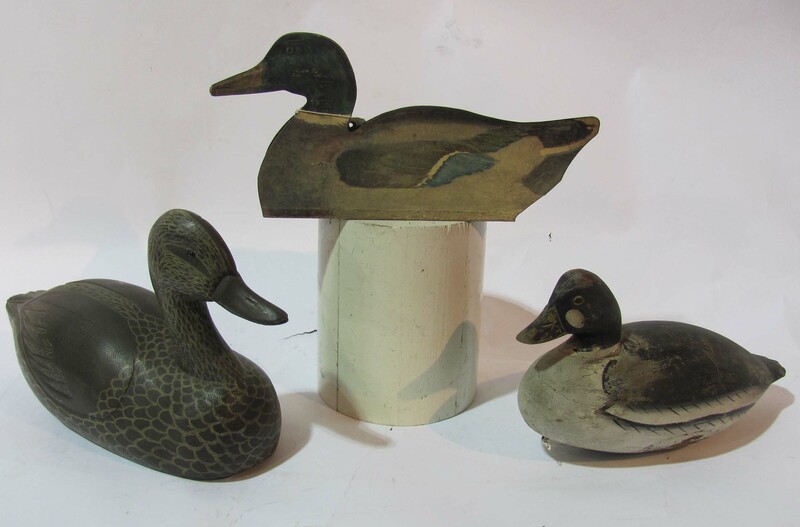 Expertly painted black duck decoy, goldeneye decoy and Johnson folding fiberboard decoy. 36 in. early 20th c. hobby horse in orig. paint. 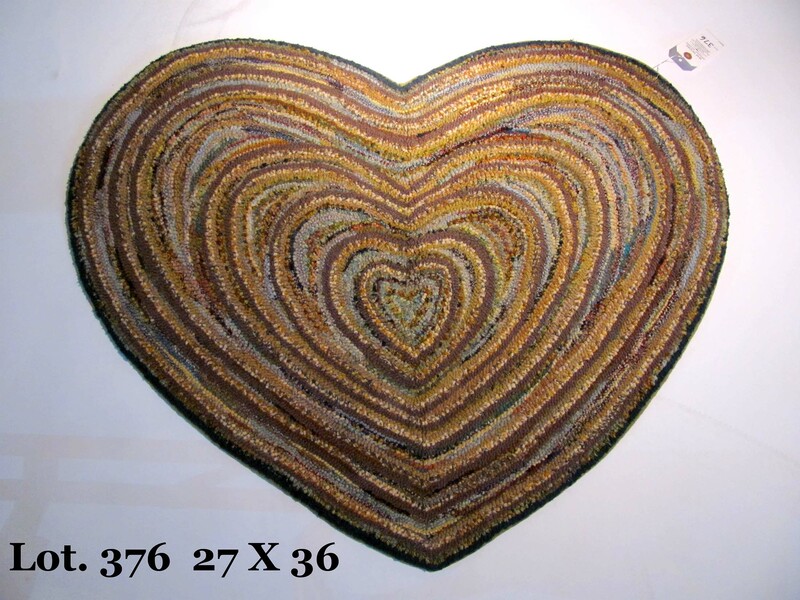 Ornamental multi-color 19 in. standing tin bird. 43 X 38 in. 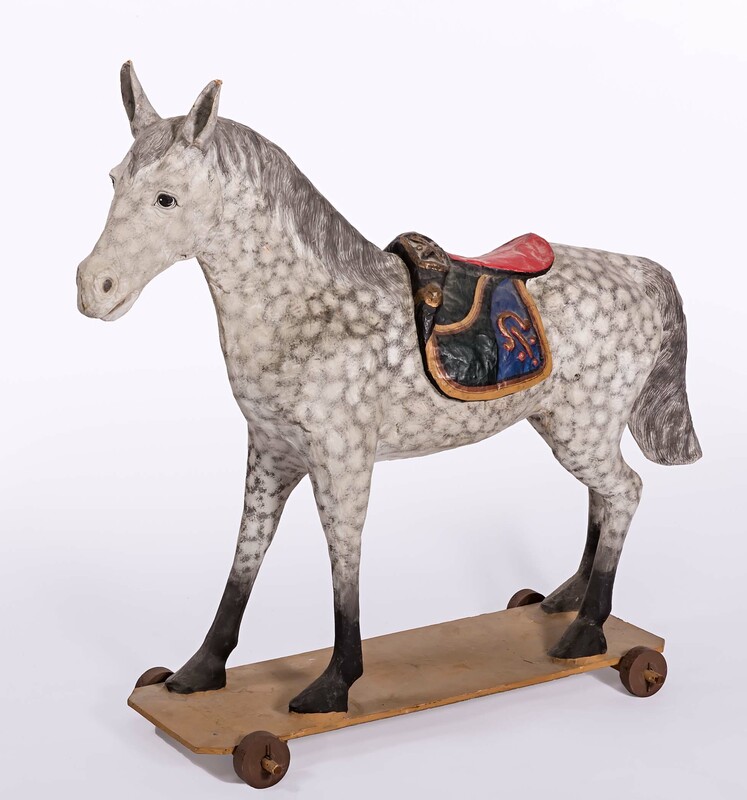 papier mache standing horse on wheeled platform, used in a store window display. 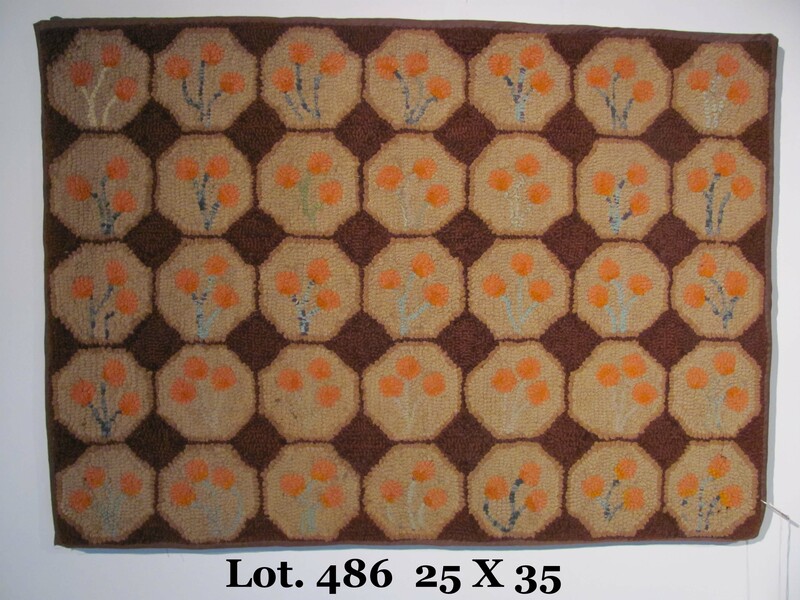 Hooked rugs (1, 2). 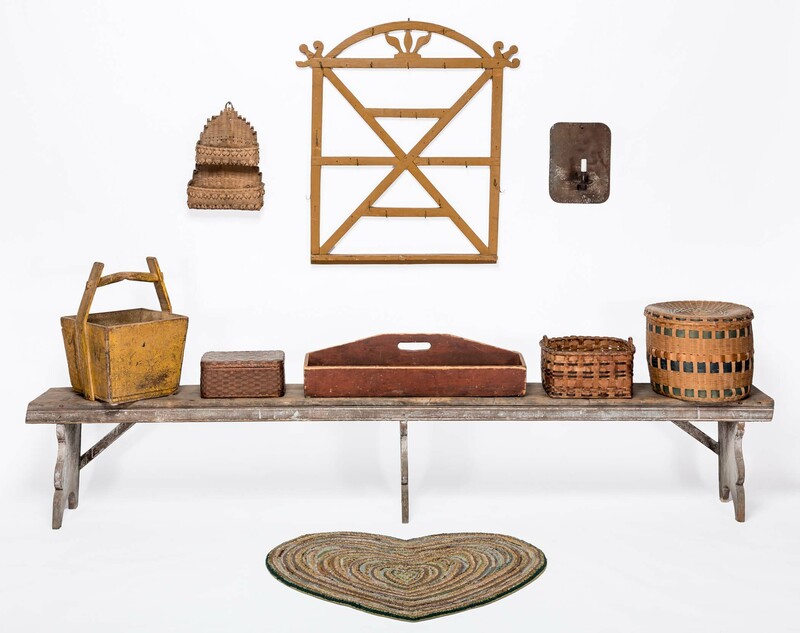 Variety of 18th AND 19th c. WOODENWARE, BASKETS AND METALWARE, including kitchen implements, molds, spice containers, wall racks and more, many in original painted surface. 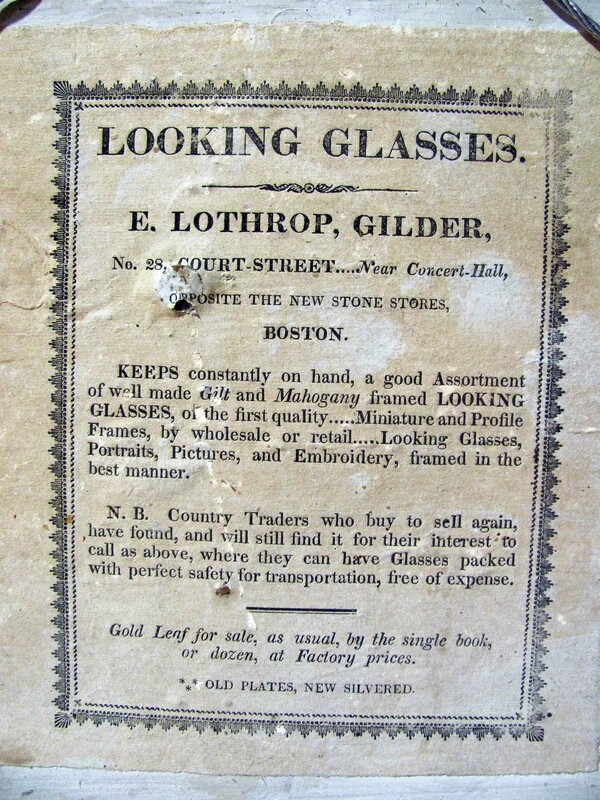 Large selection of good Maine and N.E. baskets. 18th c. ice skates. Oversized 18th c. wrought iron box lock. Collection of shotguns and other VINTAGE FIREARMS, primarily from one family. Complete numbered listing may be downloaded HERE. 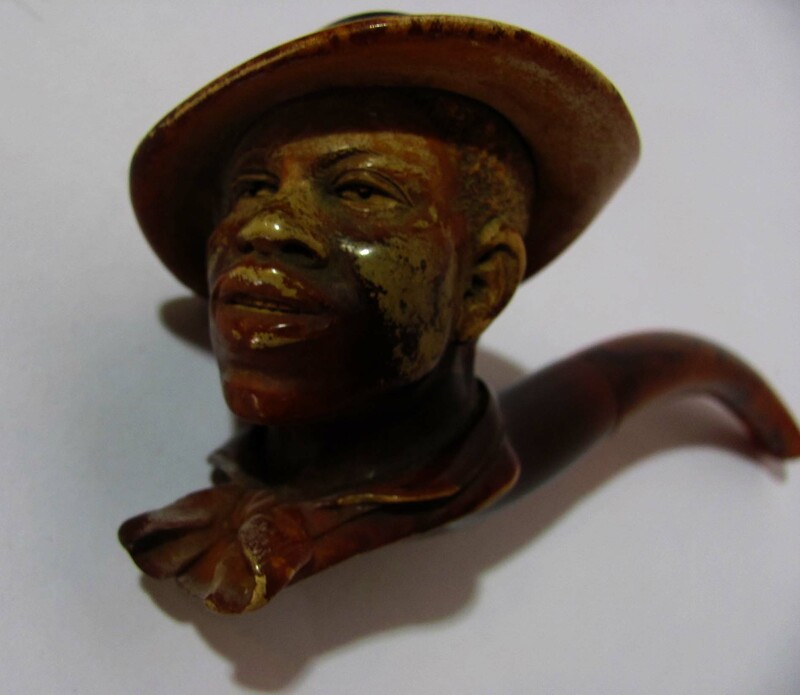 ESTATE ACCESSORIES: Meerschaum pipe, depicting the head of a black man. C. 1900 better table top ship models, 17 in. Flying Lady (Portland, ME), 27 in. Sovereign of the Sea (NY) and 12 in. unnamed model. Good 18th c. and later andirons. 19th c. paint-decorated fireside plate-warming oven. Good tramp art picture frames. Fancy J. Maxheimer 1860 patent metallic bird cage. 36 in. 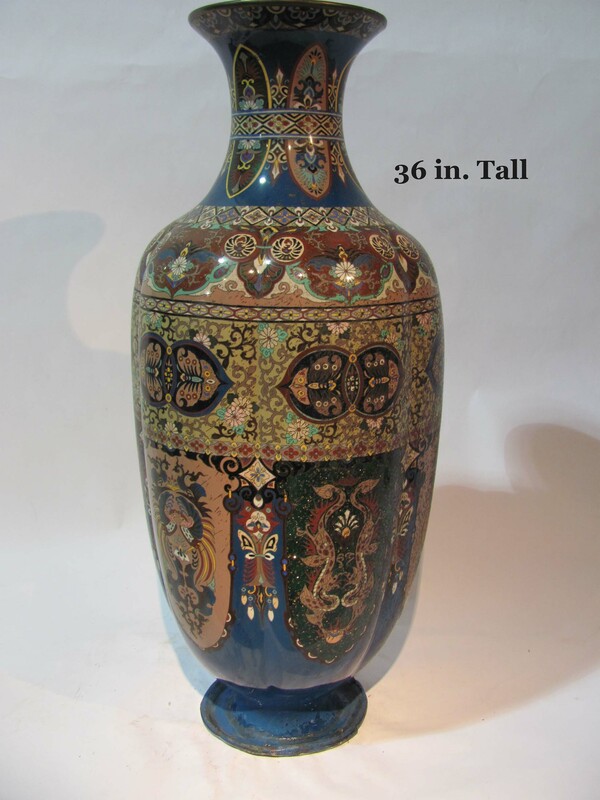 cloisonné floor vase. Pair 25 in. cloisonne floral urns. 19 in. Japanese enameled charger. Antique netsuke. 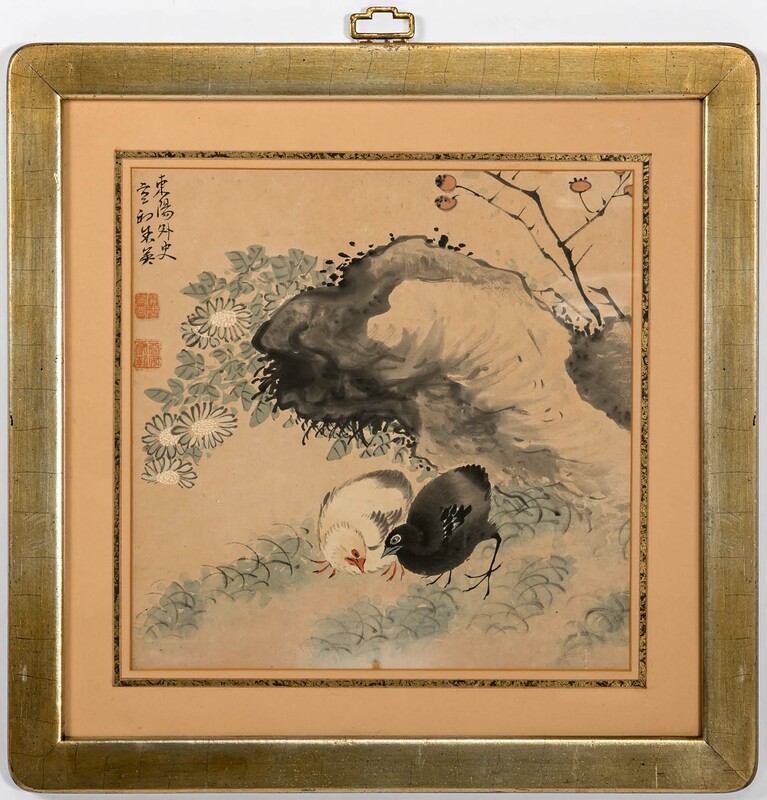 Pair of framed Asian silk embroidered panels depicting dragons. Asian carved decorative wall panel and dragon-carved jewelry box. Interesting table boxes and desk accessories. 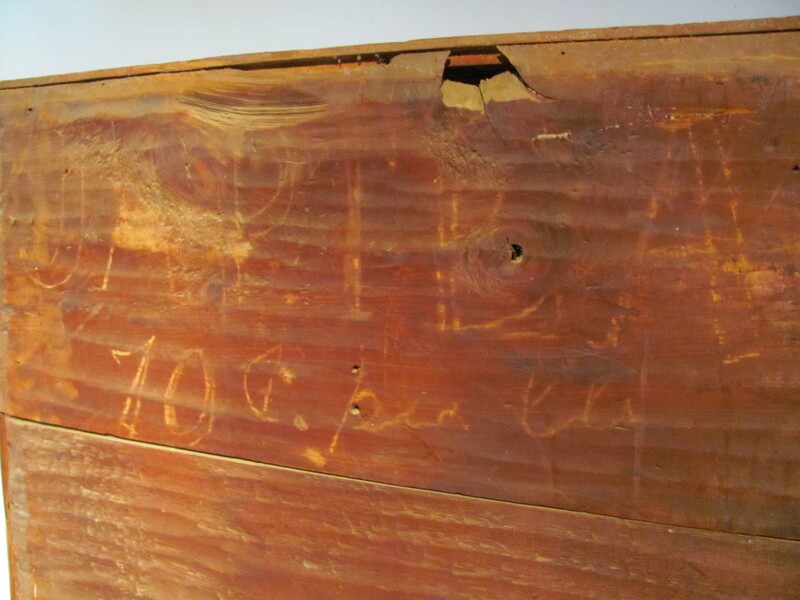 John Jusek, Prague, violin and 1831 marked violin. Harmony Opus guitar. Lacy 1930’s wedding dress, children’s vintage clothing and large lot of handbags. Good selection of earlier Christmas ornaments. Very nice and clean astutely collected old family collection of BUTTONS. A listing of the button categories. EPHEMERA, OLD PAPER, BOOKS AND PHOTOGRAPHY: 1787 Plymouth, MA land deed. 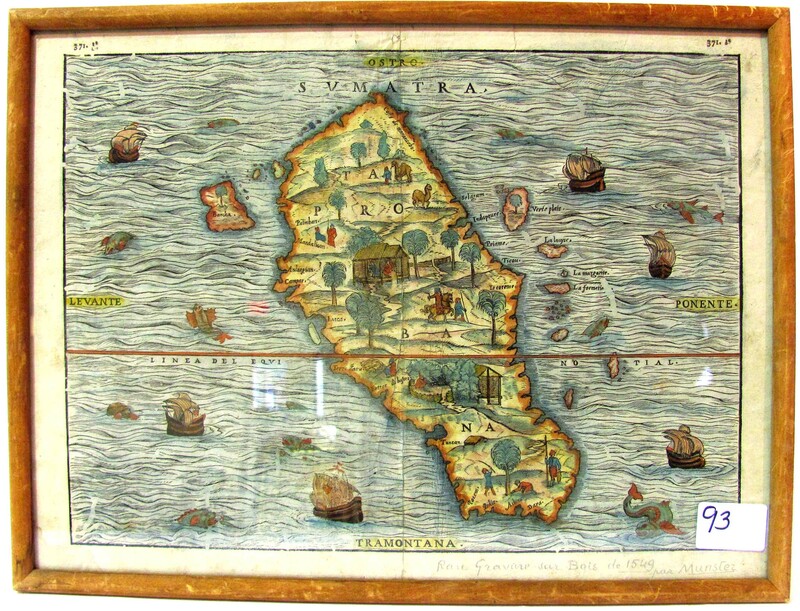 Framed 1606 Ramusio map of Sumatra. 45 early glass photos of railroad construction in Guatemala. Glass plate negatives of 19th c. military buttons. The glass plate negatives of photos printed in the early 20th c. Boston and Maine Railroad book, Seashore of New England, accompanied with a copy of the book. Other estate books. Lt. Gen. U. S. Grant, Richmond ribbon, mint. 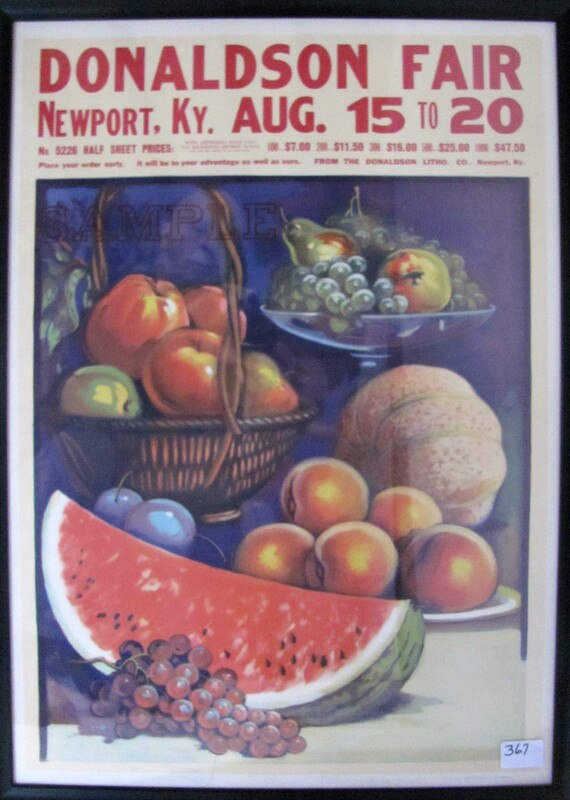 Newport, KY Donaldson Fair advertising poster. 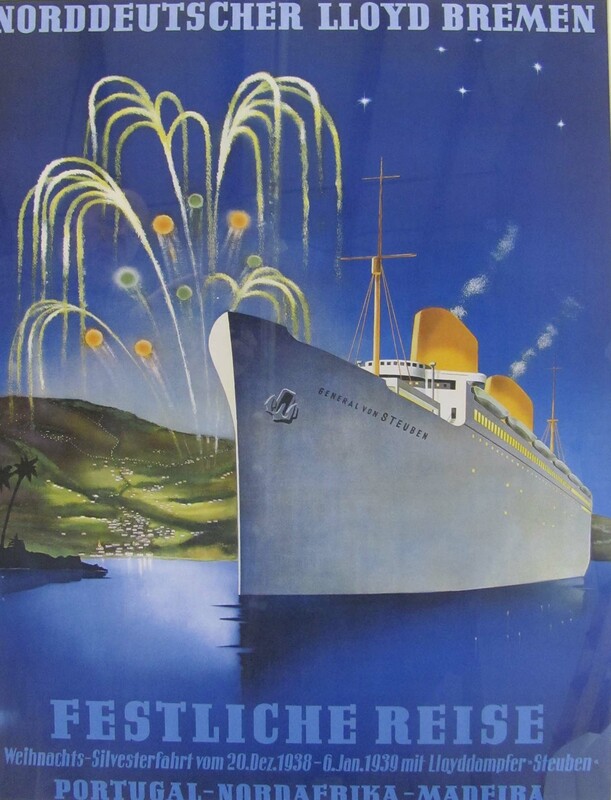 German and English travel posters. Old single owner collection of JAPANESE WOODBLOCK PRINTS. The more important prints may be viewed HERE in numbered lots. 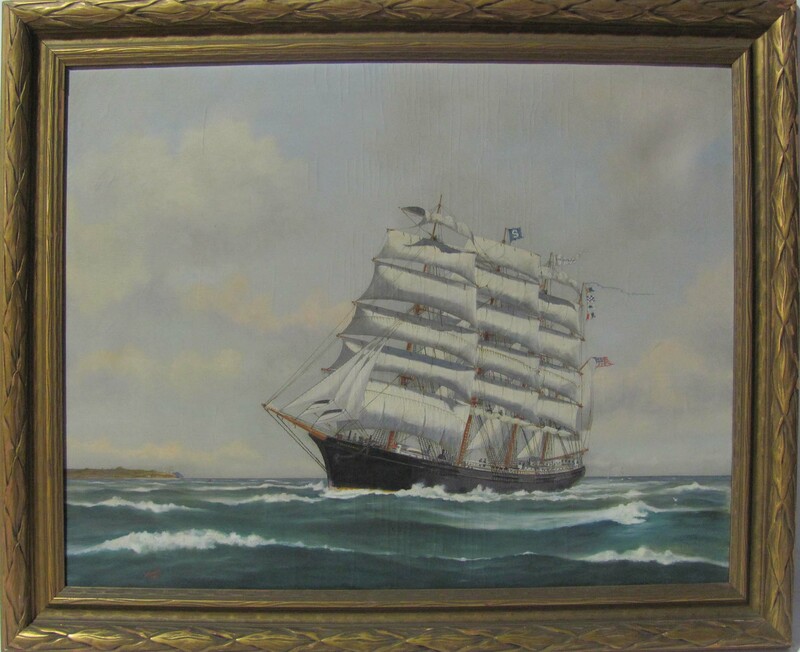 OLD PAINTINGS, PRINTS AND SCULPTURE: 29 ½ x 38 ½ J. F. Carvill 1921 o/c of the Bath, ME ship, Shenandoah in full sail. 36 X 29 U. 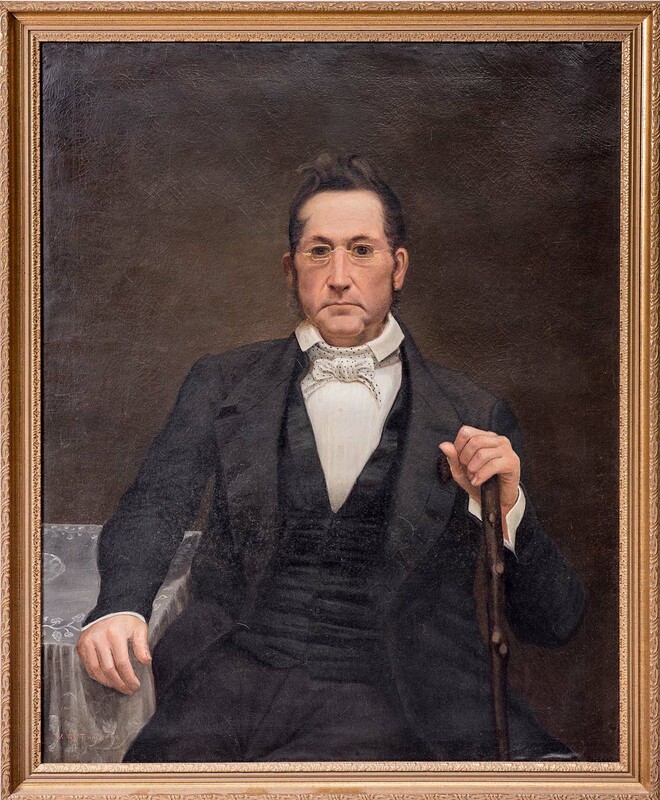 (Ulysses) D. Tenney (NH, 1826-1908) oil portrait of a distinguished 19th c. gentleman. Two 35 X 19 watercolor portraits of 19th c. Chinese elders. 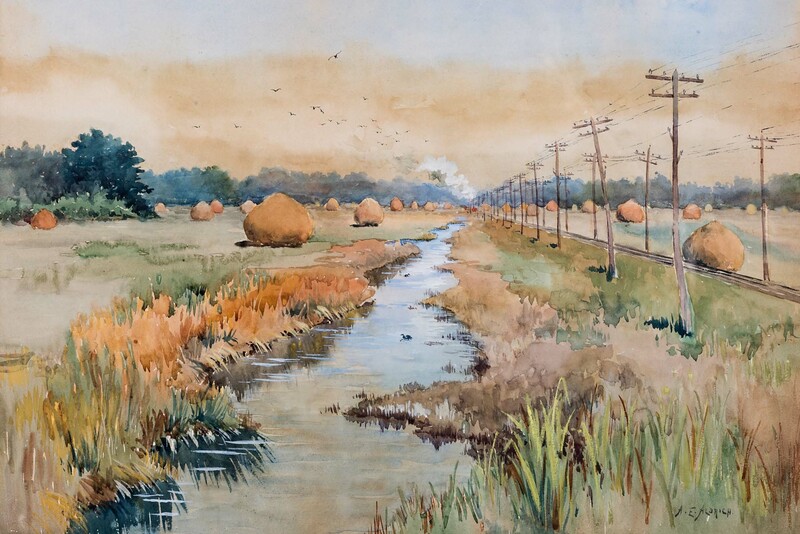 13 X 19 ½ A. E. Aldrich watercolor landscape with a stream by railroad tracks. 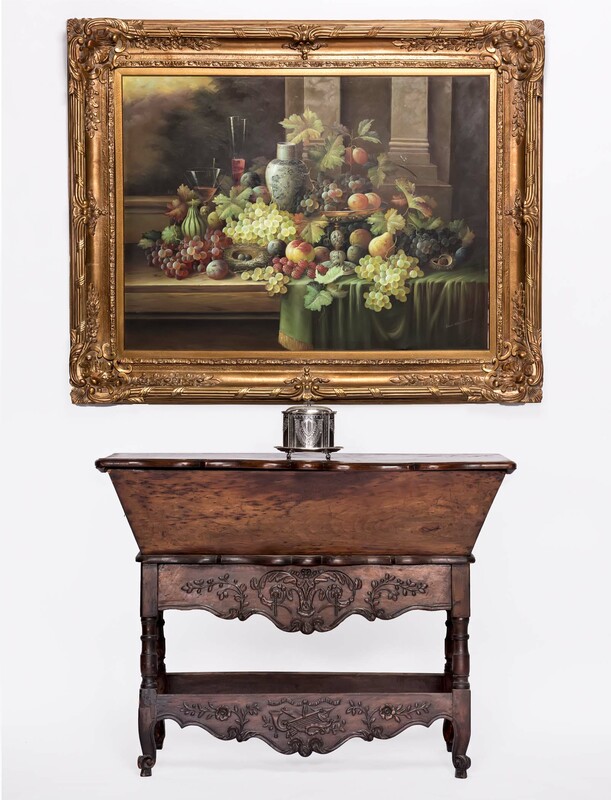 35 X 46 colorful fruit still life, signed Edward William Cooke. 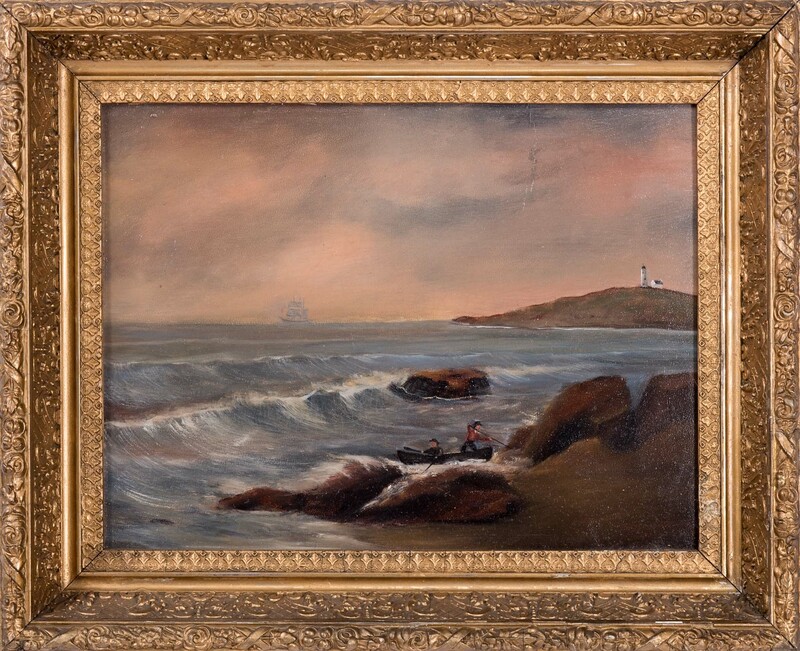 18 X 27 ½ coastal scene oil painting with two figures on shore. 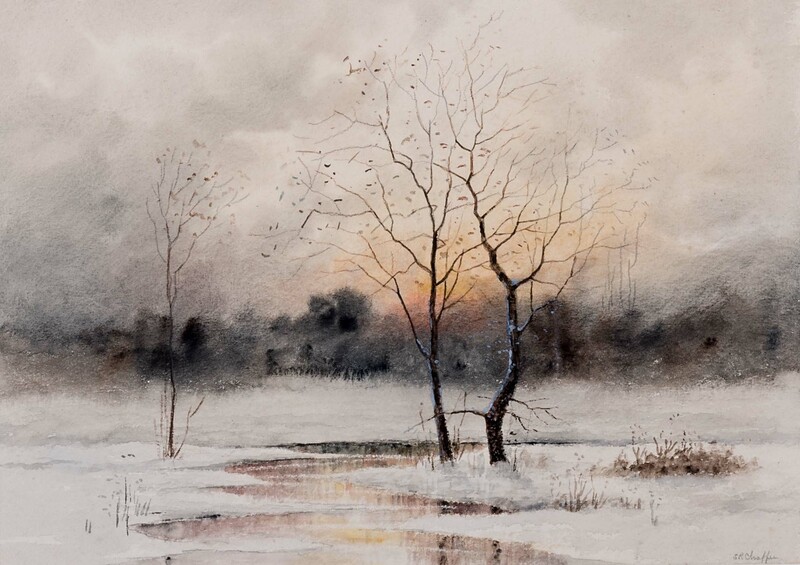 S. R. Chaffee w/c winter scene and a shore scene with cottage. 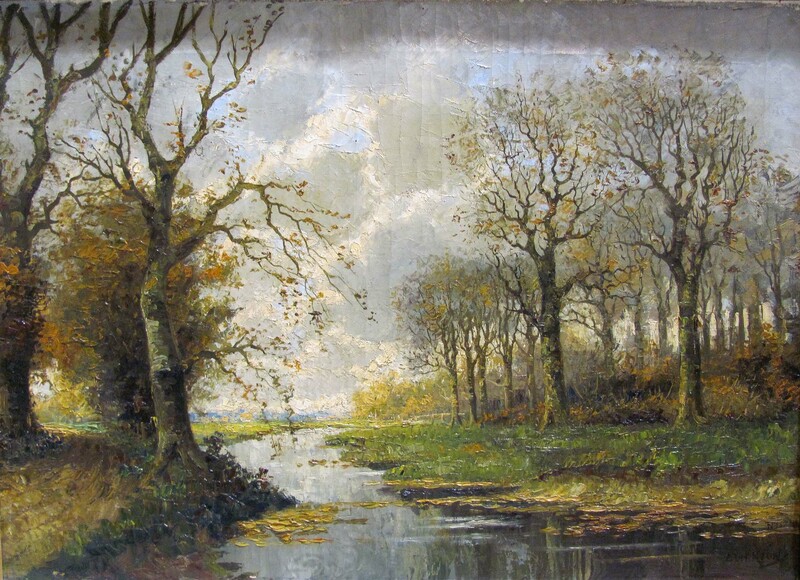 16 X 22 C. L. H. Kauw oil of river in a landscape (sign). 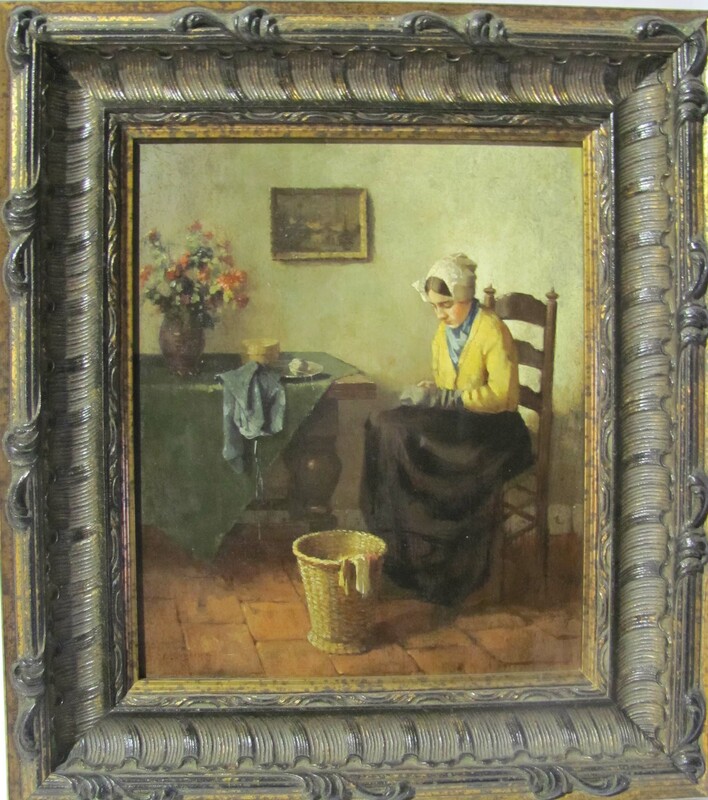 13 X 11 19th c. indistinguishably signed o/p of Dutch girl sewing. 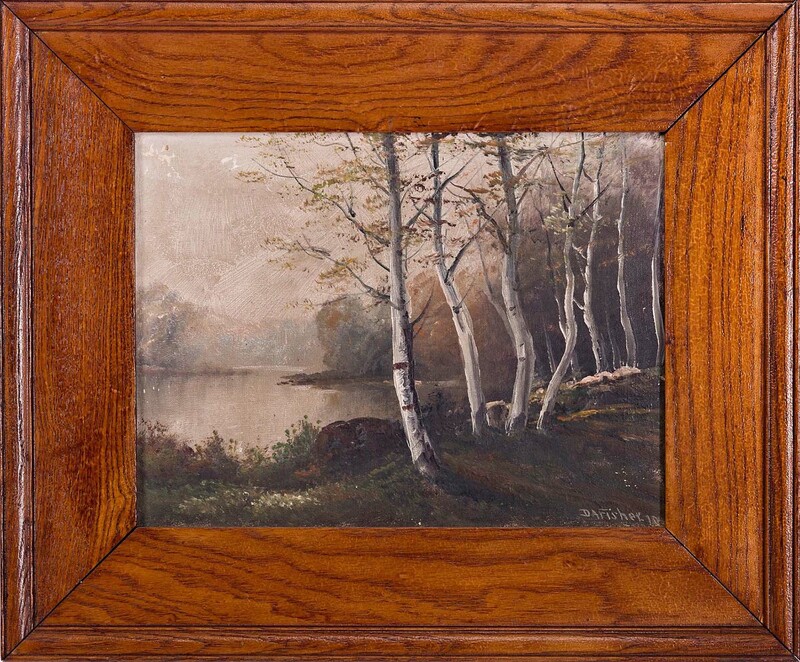 9 X 11 ½ D. A. Fisher landscape oil with birch trees./ Early 20th c. floral Japanese watercolors (1, 2). 8 X 12 Rev. Manning Tobey (Kittery, ME) primitive o/b of cottage on a hill. 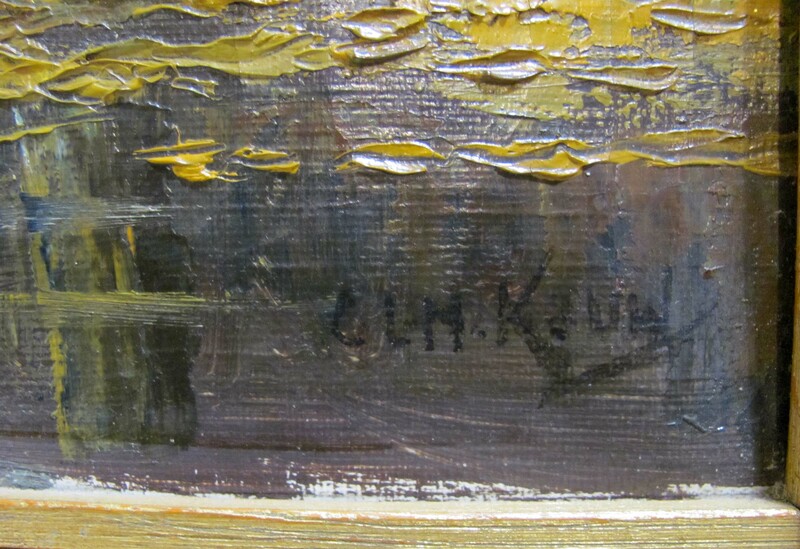 9 ½ X 13 ½ Olive King Messer oil of paintings at dock. Interesting 19 ½ in. 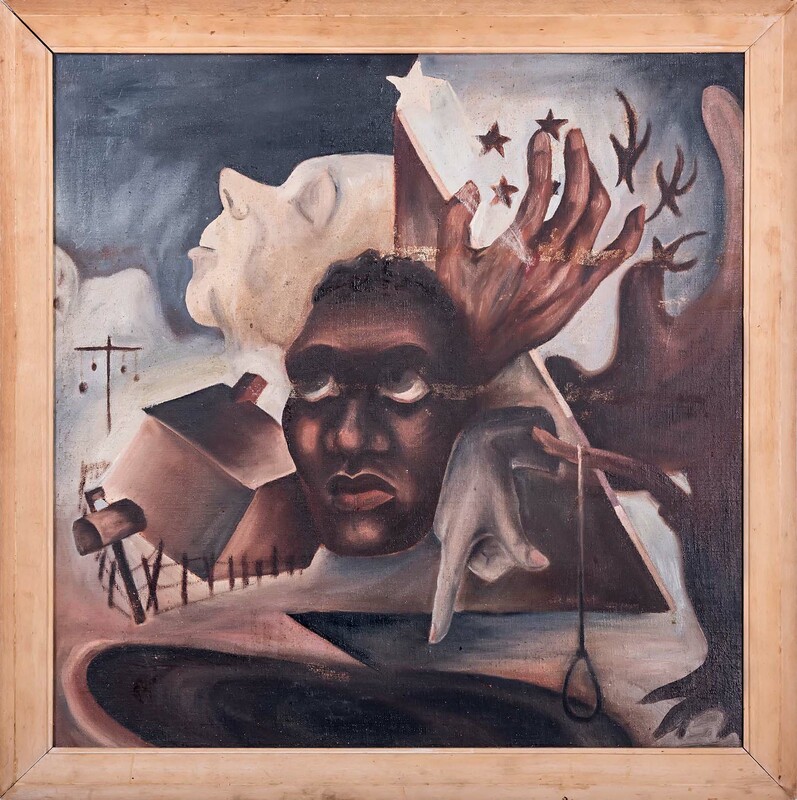 square Marie Davis, 1945, race-specific oil, Study in Black and White. 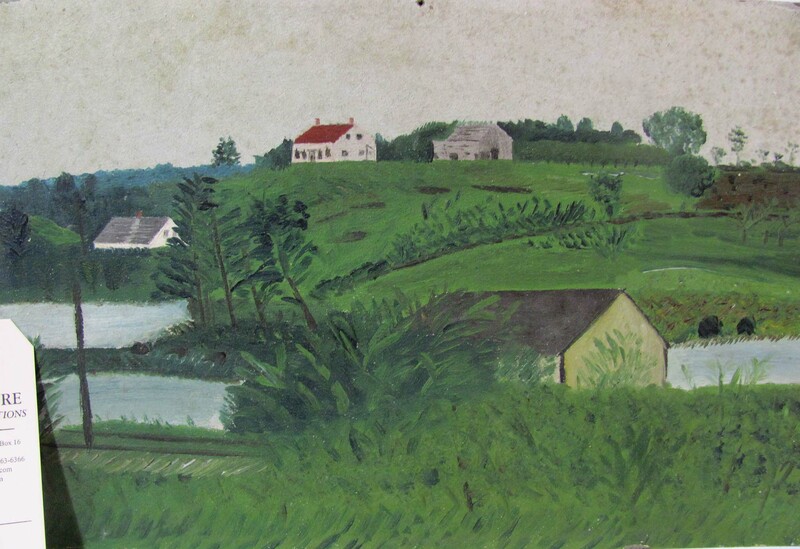 14 ½ X 19 Warren P. Skillings 1888 watercolor of country road scene. 18 X 13 oil on wood panel of Madonna and Child with adoring saint. 16 X 10 W. F. Powder humorous oil on wood panel. Flagg, Christy and Parrish prints. Howitt foxhunt prints. 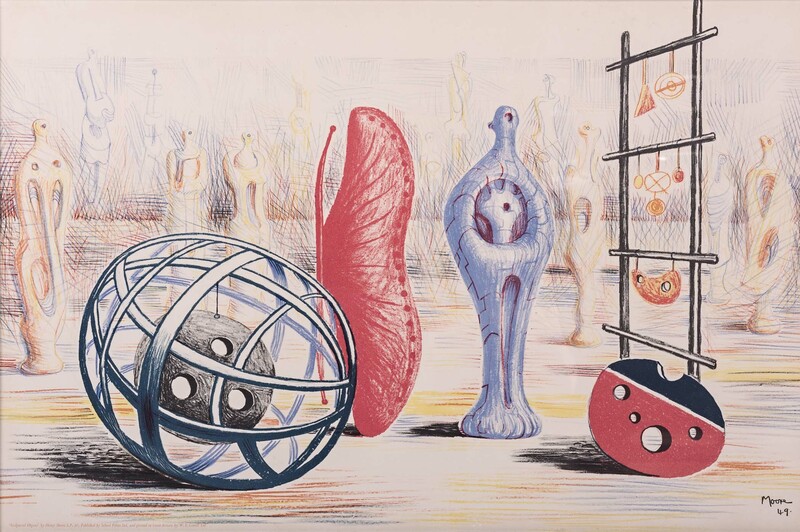 19 X 29 ½ Henry Moore print, Sculptural Objects. 19 X 29 color lithograph, A Brush for the Lead. Wolf and Smit lithos. of pheasants. 35 in. indistinguishably signed alabaster Art Nouveau sculpture of a young woman. Figural table bronzes. 20 in. 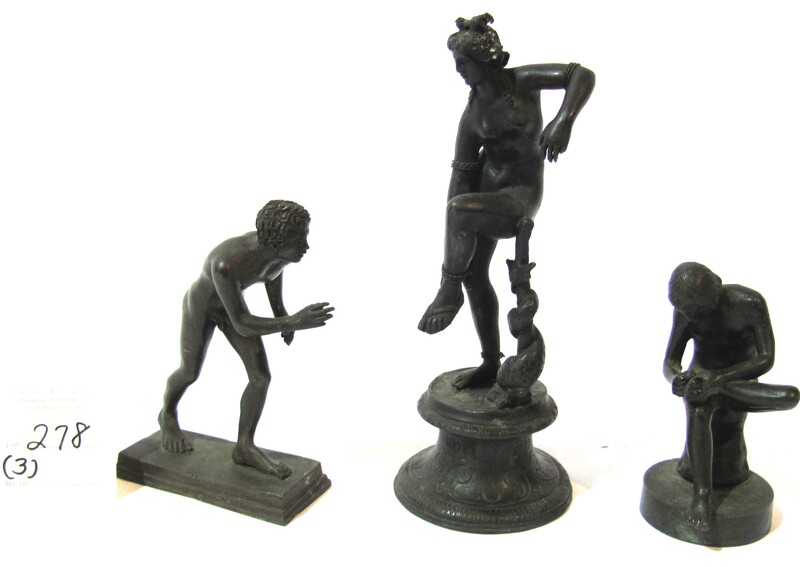 male/female spelter figures, LaPecheuse and LePecheur. Other decorative works. 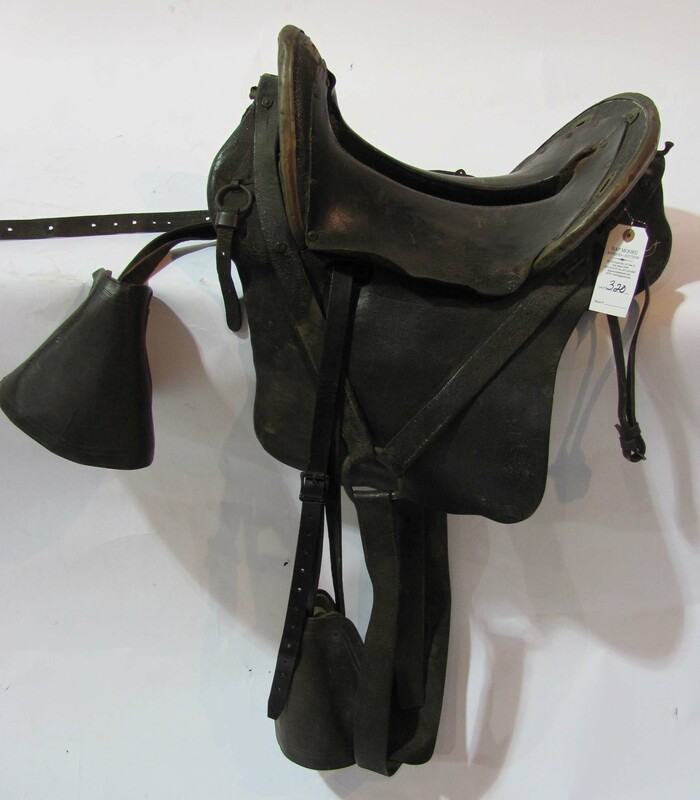 TELEPHONE BIDS: Phone Bids close on FRIDAY, November 20th at 6:00p.m (the day before auction). ABSENTEE BIDS: Absentee or Left bids close on SATURDAY, November 21st at 9:30 a.m..